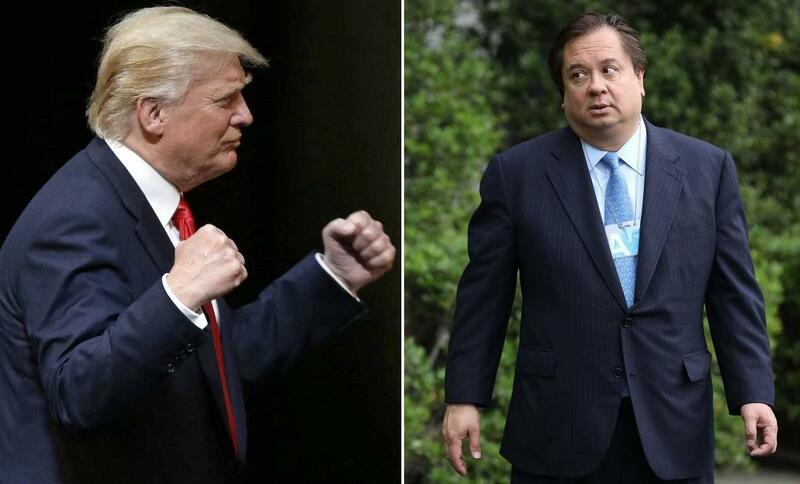 Trump: George Conway Is "Stone Cold LOSER & Husband From Hell"
President Trump continued dropping Twitter bombs on aide Kellyanne Conway's Husband George on Wednesday - suggesting that the D.C. power-lawyer is "VERY jealous of his wife's success & angry that I, with her help, didn't give him the job he so desperately wanted." Conway responded in several tweets: "You seem determined to prove my point. Good for you! #NarcissisticPersonalityDisorder," adding in a later tweet: "The President of the United States," and "You. Are. Nuts." While Trump says he denied Conway a role in the DOJ, Politico reported in June 2017 that Conway - who was the front-runner to head the Justice Department's Civil Division - reportedly pulled out of consideration after he was never formally nominated to the post, saying: "I have reluctantly concluded, however, that, for me and my family, this is not the right time for me to leave the private sector and take on a new role in the federal government," adding "Kellyanne and I continue to support the President and his Administration." 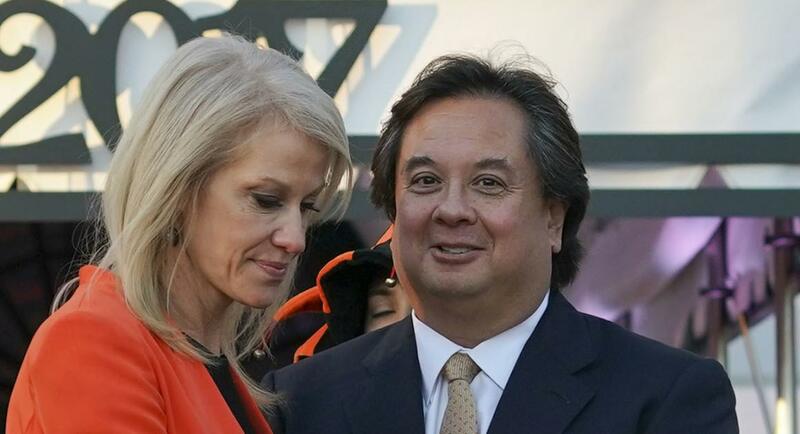 George Conway's repeated public jabs at Trump suggest that was a lie. While Trump has remained largely quiet over the insults, Conway took it a step too far on Monday when he suggested that President Trump has a mental disorder - tweeting out a photo of the Diagnostic and Statistical Manual of Mental Disorders, along with the pages that describe narcissistic personality disorder and antisocial personality disorder. Hitting back was Trump 2020 campaign manager, Brad Parscale - who said: "We all know that @realDonaldTrump turned down Mr. Kellyanne Conway for a job he desperately wanted," adding "Now he hurts his wife because he is jealous of her success." Conway responded on Tuesday, telling the Washington Post in an interview: "I thought it was a perfect example of the point I was making," adding "He can’t concern himself with affairs of state. He’s more concerned about what people say about him and waging little battles with everyone and everything." He told the Post that he turned down the DOJ job. "I’m thinking to myself, this guy is going to be at war with the Justice Department for the next two years," adding "I’m not doing this."